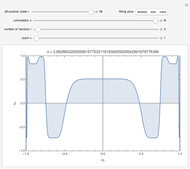 This Demonstration shows the iterate of the test map , for superstable parameter values of period-doubling periodic attractors as a function of . 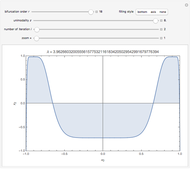 The test map generalizes the well-known logistic map, . 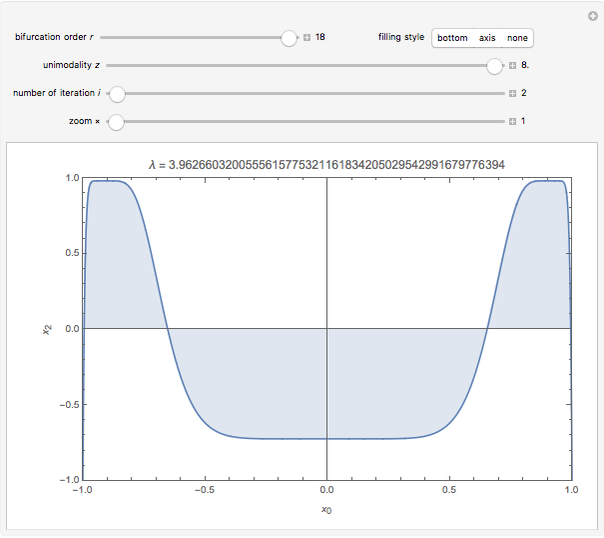 Here is the iteration number, is the iterate of starting from the initial condition (i.e. 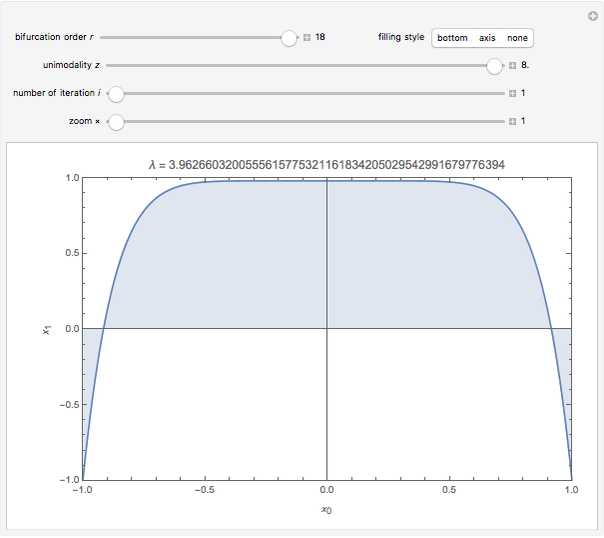 ), is the control parameter, is the bifurcation order (e.g. for , for , for , etc. 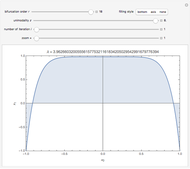 ), is the superstable parameter value for each bifurcation order, and is the subcontrol parameter (which determines the unimodality, the degree of the local maximum of ). 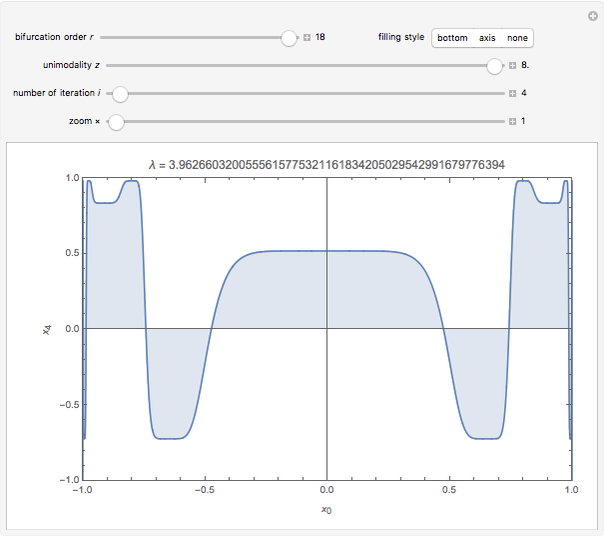 The program for this Demonstration presents a large collection of within the unimodality interval and the bifurcation order interval , which were obtained using a high-precision Newton algorithm with fixed precision 50. These values are accurate to 45 decimal places, so you can use them for your own study or research. To imitate the special iterates at the edge of chaos ( ), you can use instead of for any . K.-J. Moon, "Reducible Expansions and Related Sharp Crossovers in Feigenbaum's Renormalization Field," Chaos: An Interdisciplinary Journal of Nonlinear Science, 18, 2008 p. 023104. K.-J. Moon, "Erratum: Reducible Expansions and Related Sharp Crossovers in Feigenbaum's Renormalization Field," Chaos: An Interdisciplinary Journal of Nonlinear Science, 20, 2010 p. 049902. Ki-Jung Moon "Iterates of Generalized Logistic Maps for Superstable Parameter Values"